Creating technology is not as difficult as it seems. You simply put together the pieces of the puzzle in the right place and voila! The difficult part is knowing where the pieces go, how to make them fit together. Even more difficult, is when you don’t have the pieces, but you have the image in your head – what do you do? Give up? Settle for the standard pieces? Literally, cut corners? No! We create the pieces and put them together. 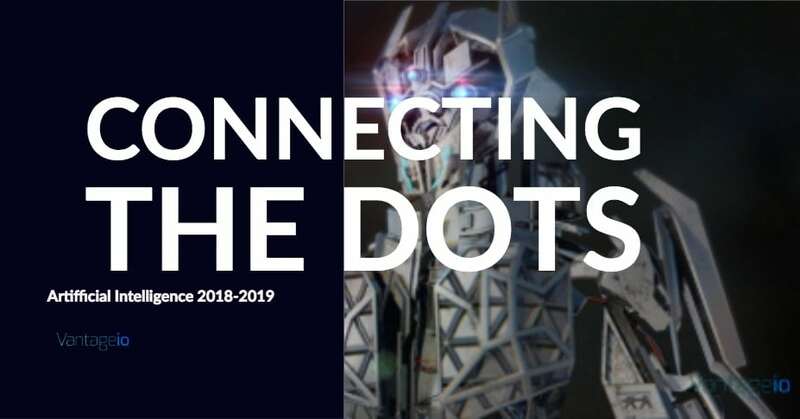 We connect the dots, and if there are no dots to connect, we create them. This is where we at Vantage IO are known for. Yes, it is cliche but we truly think outside the box and we put together solutions to meet and exceed expectations no matter what. In the last few months, there has been an explosion of interest in artificial intelligence, machine learning and interconnectivity. Our clients were expecting this from our solutions and we delivered. We have begun creating custom solutions that incorporate neural networks and even leverage big data to produce amazing results. When we give our “static” applications the ability to think on their own, we free up time from our human analytical minds to focus on more important matters. For example, our latest developments give the end-user a summary of high-importance KPI’s that fluctuate beyond normal parameters and it formulates plans of actions. But “normal” is a very dynamic term nowadays, so the application self-adjusts to changing conditions eliminating false-positives and detecting significant patterns in the data as they emerge in real-time. Leveraging large sets of data was the ultimate goal 5, 10, 15 years ago. This is when we used to see gigantic spreadsheets with pivot tables that would make your knees shake, all so we could find trends, fill-in gaps in data or do regression analysis. When new data came in, you had to spend days merging and cleaning the new data. Today we do the same, the difference is we use millions, sometimes billions of rows of data. We use hundreds, even thousands of data points and the best part, we do this in stream-like real-time fashion. A city blinks, and we get a few million rows of data to analyze. The natural progression of technology dictates that into Q4 of 2018 and well into 2019, this trends will continue to grow. We will see even faster and easier ways to consume big data. More innovative techniques to incorporate AI into our applications and more interconnectivity between devices and applications. Here at Vantage IO we’ve cultivated skills for all these areas and we are in full-swing to apply them for the benefit of our clients and our new and exciting projects to come. Considering a new web or mobile app project? Schedule a 15-minute consultation call with an expert. We'll guide you on viability, technology selection, budget and other recommendations - absolutely free.